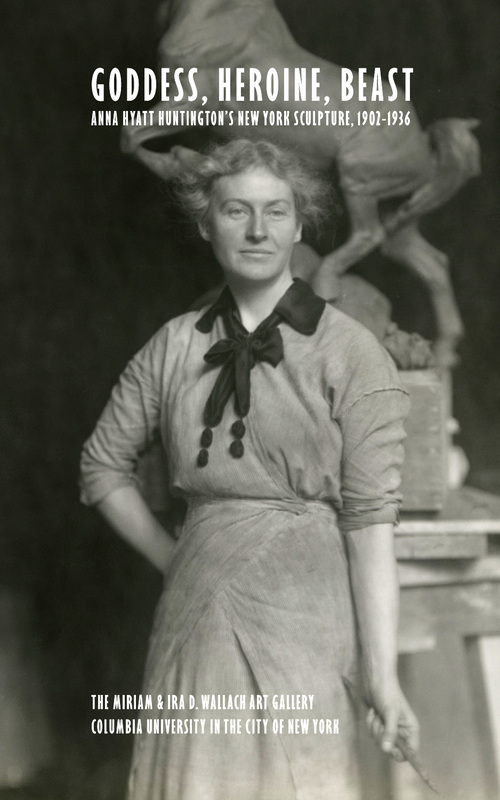 Anna Hyatt Huntington (1876–1973) was once among New York City's most prominent sculptors. Today, her work is displayed in may of New York’s leading institutions and outdoor spaces, including Columbia University, the Metropolitan Museum of Art, the National Academy of Design, the New-York Historical Society, the Hispanic Society, the Cathedral of St. John the Divine, Central Park, Riverside Park, and the Bronx Zoo. Despite the presence of her sculptures throughout the city, Hyatt Huntington is not well-recognized today. Goddess, Heroine, Beast: Anna Hyatt Huntington’s New York schulpture, 1902–1936 aims to redress that by focusing on her New York career, which is of particular note. Hyatt Huntington created the first public monument in New York City by a woman: her Joan of Arc on Riverside Drive and 93rd street. Over thirteen feet high, her martial equestrian heroine, clad in armor from head to toe and cast in bronze, was also the city’s first public monument to a historical woman. Meanwhile, Hyatt Huntington had become famous for her animal sculptures that combined ferocious spirit with skillful realism. Published in conjunction with the eponymous exhibition, Goddess, Heroine, Beast includes an essay by Anne Higonnet, the Ann Whitney Olin Professor of Art History at Barnard College / Columbia University. The book also features both career timeline and an illustrated map highlighting several of New York’s city’s public institutions where works by Hyatt can be viewed. For information on ordering please send an inquiry to Wallach@columbia.edu.